State Examination Board, Gandhinagar, Gujarat activated link for download SEB Hall Ticket 2018. All students/candidates whose application form confirmed they all download SEB Exam Admit Card 2018 by clicking on the link provided below. Click on SEB PSE | SSE Exam Hall Ticket. Exam Admit Card 2018 is candidate’s Entry Pass to give Mains Exam. Students may read instruction well before download Hall Ticket. Students did not have the Admit card at the time of Examination he/She will not be able to give the Exam. State Examination Board NTSE Exam Admit Card, SEB NTSE Exam Hall Ticket: Examination Board released notification regarding download SEB NTSE Exam Hall Ticket. All students whose application form confirmed they all download NTSE exam Admit Card by clicking on the link provided below. State Examination Board SEB earlier announced notification for Primary Scholarship Exam and Secondary Scholarship Exam. A huge numbers of students applied for SEB PSE | SSE exam 2018. students whose application form confirmed they all download PSE SSE Hall Ticket from 17th October, 2018 on official website sebexam.org. PSE | SSE Exam Hall Ticket is candidate’s Entry Pass to give Mains Exam. Students may read instruction well before download Hall Ticket. Students did not have the Admit card at the time of Examination he/She will not be able to give the Exam. 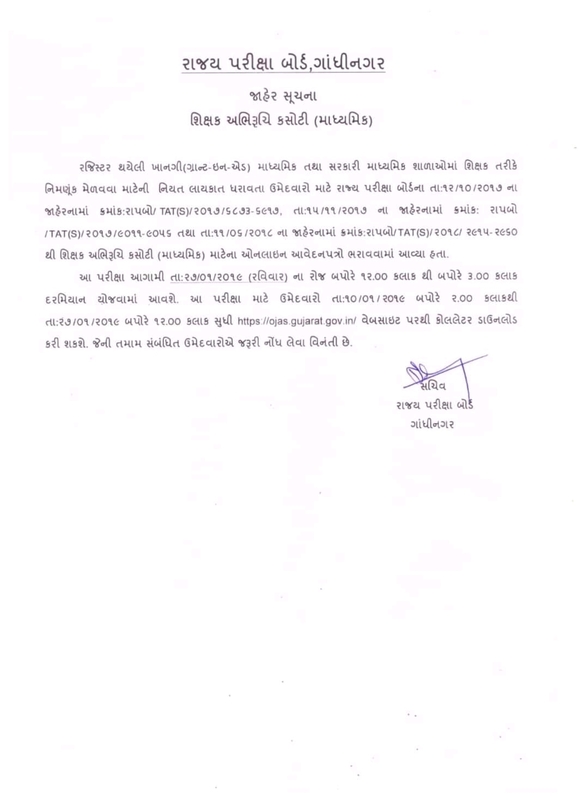 Eligible candidate may download Gujarat SEB TAT Higher Secondary exam hall ticket from 15-10-2018 to 28-10-2018 on its official website ojas.gujarat.gov.in. 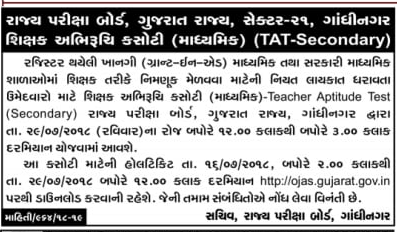 Eligible candidate may download Gujarat SEB TAT Secondary exam hall ticket from 16/07/2018 to 29/07/2018 on its official website ojas.gujarat.gov.in.